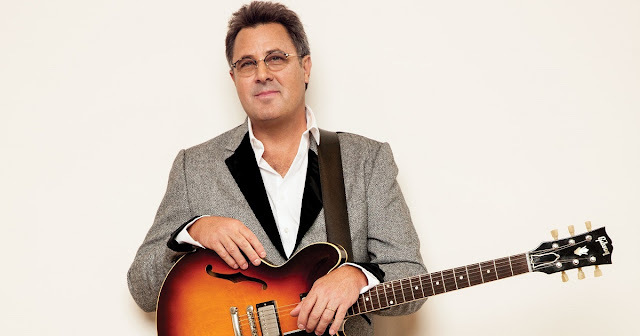 If you know Country Music , even a little bit you have heard of Vince Gill. He spent 15 years making a name for himself in the industry and had started out in Bluegrass music. "He recorded a bluegrass album, Here Today, with David Grisman and friends before signing a solo deal with RCA with whom he achieved some success including the singles, "Victim of Life's Circumstance" (U.S. Country Top 40) and Country Top Ten with "If It Weren't for Him", "Oklahoma Borderline" and "Cinderella". However his albums achieved only moderate sales and in 1989, Gill left RCA to sign with MCA Records. Here, reunited with Tony Brown as producer, he sold over a million copies of his label debut, 1989's When I Call Your Name, of which several songs, including the title track, made the U.S. Country charts' Top Ten / Top Twenty. This was followed by the similarly successful albums, Pocket Full of Gold (1991) and I Still Believe in You, of which the title track went to U.S. Country No. 1. "Peaceful, Easy Feeling" from the Grand Ole Opry in Nashville. 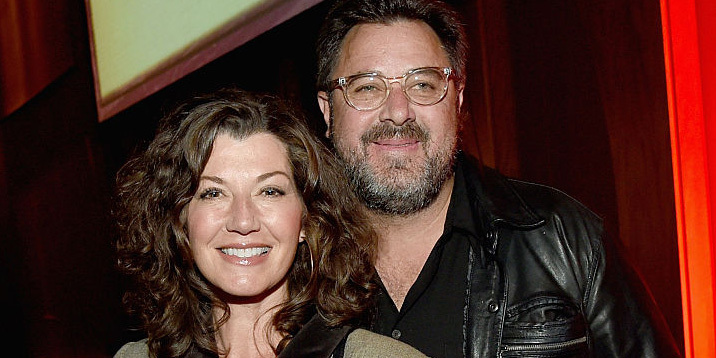 Vince would meet his future wife Amy Grant(below with Vince)in 1993 when he asked her to be a guest on his first ever televised Christmas special. They would later marry March 2000 and have been together ever since. 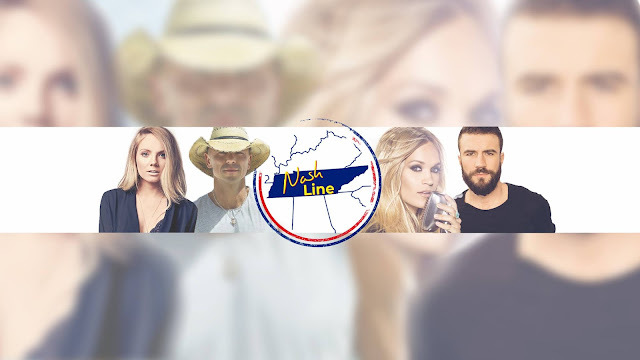 Here below is the interview as promised from the great people at Nashline. 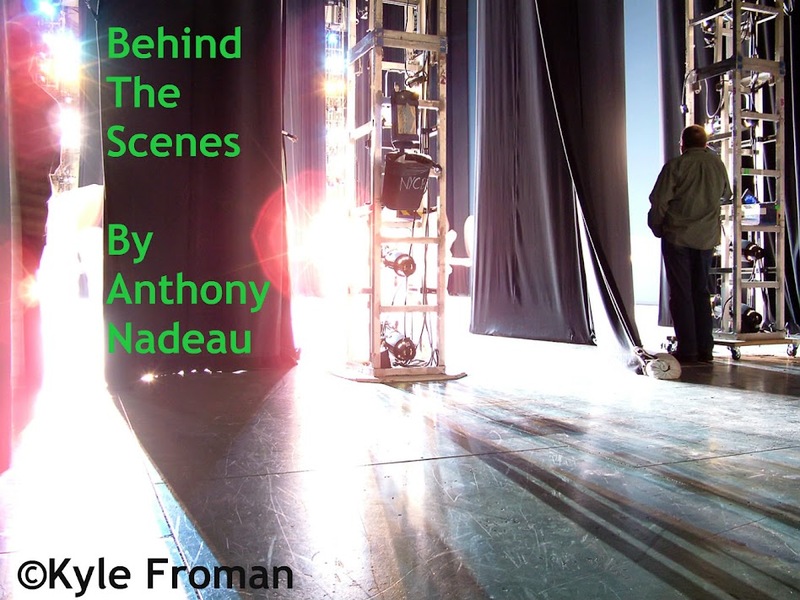 This is great what Vince has to share and very kind of him to do this for upcoming shows.